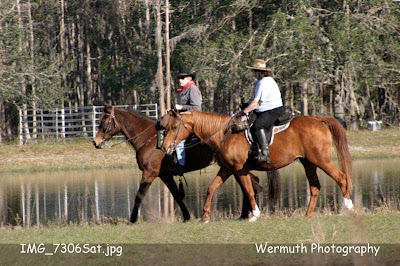 Marie is on the lead horse, out on an Osceola ride a few years ago. Actually, she goes every year on this planned ride of several days through the the heart of Florida. She is out right now on this year's ride with her mare, Tellaco. She is a natural born horse woman and knows just about everyone in the world, well, at least the horse world. Marie feels the same way we do, life is just better on the back of a horse, out enjoying what God and nature gave us. Speaking of enjoy, if I had to associate the word enjoy with the word Marie, hands down, first thought would be horse, second would be marshmallow. She is the only person I know that will eat Fluff right out of the jar. 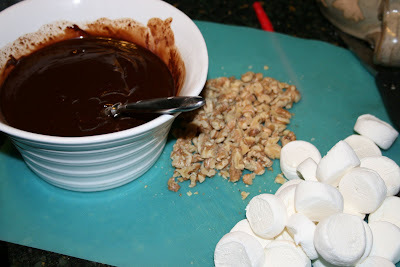 Naturally, when I came across this recipe, I thought of Marie. Enjoy your ride, enjoy your marshmallow. Life is short, Life is good! Happy Trails to you. have parchment, use waxed paper or plastic wrap. corn syrup, and vanilla in a microwave-safe bowl. cream is hot and the chocolate has softened. has melted and everything is smooth. the bottom of the pan. 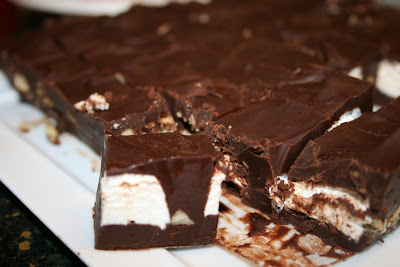 6) Space the marshmallow halves atop the chocolate. the pan so that everything is covered. 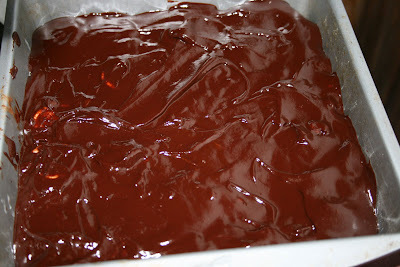 8) Refrigerate for an hour or so, to set the chocolate. from the edges of the pan. Where did you get that picture? 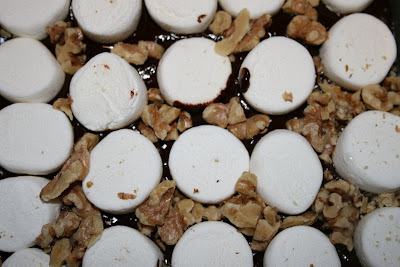 Yes, I love the marshmellow cream on the spoon or on a rice cake yummy.That fudge looks wonderful too. Spring: How Do I Love Thee?